We meet on Sunday mornings during the 11 o’clock service. 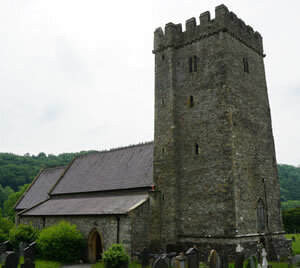 The children meet in the church at the start of the service, and after the first hymn we go to the church hall where our time together begins. 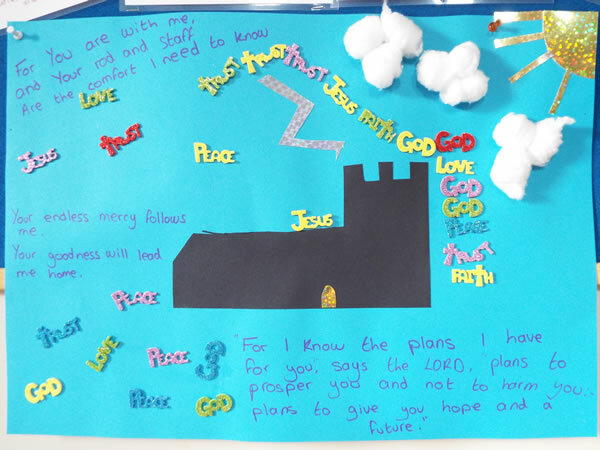 We hear a story from the Bible, and do activities, craft, games and chat. 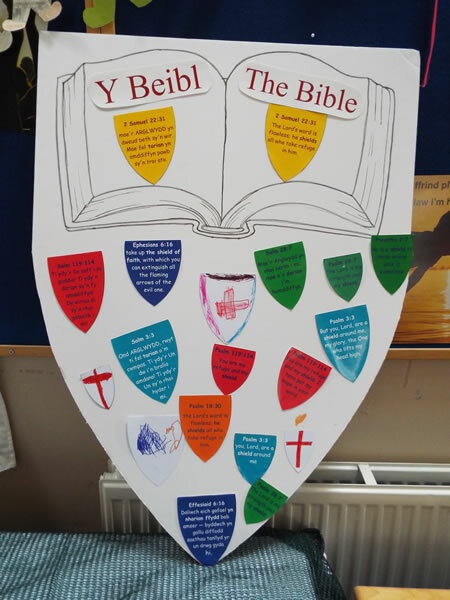 We then rejoin the church family for the Eucharist and then show the congregation what we’ve been doing. 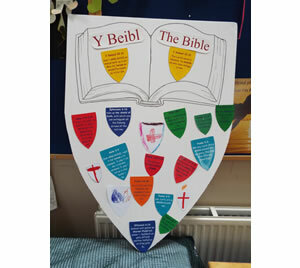 Armour of God - Using Ephesians 6:16 speaking of the ‘shield of faith’ and verses which speak of God’s word as a shield. 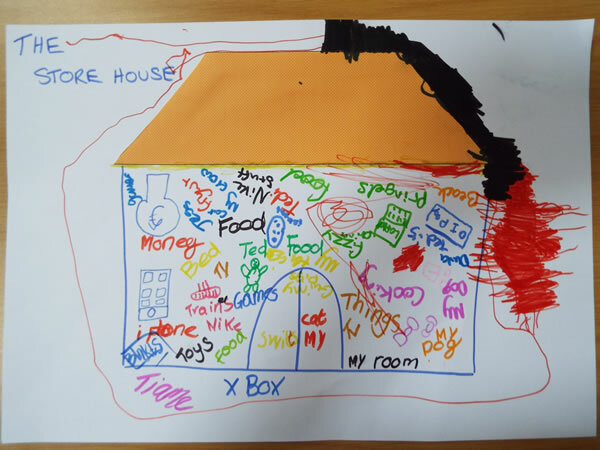 Hope - This picture was made by the children the Sunday after the tower was struck by lightning (October 2014). 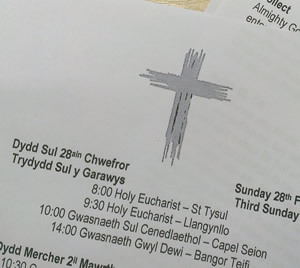 They wanted to remind the congregation that God can bring hope in all situations - the Psalm that Sunday was Psalm 23. 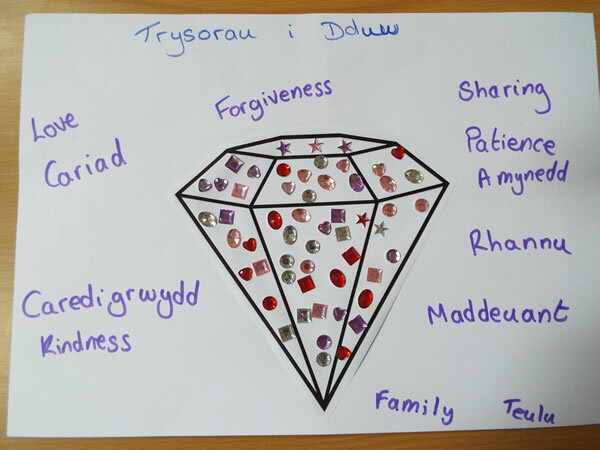 Luke 12:13-21 - 'The Parable of the rich fool' speaks of storing up treasures in heaven, and how treasures on earth won’t last - these are some of our treasures. Luke 12:22-34 - These are the things God treasures and values. 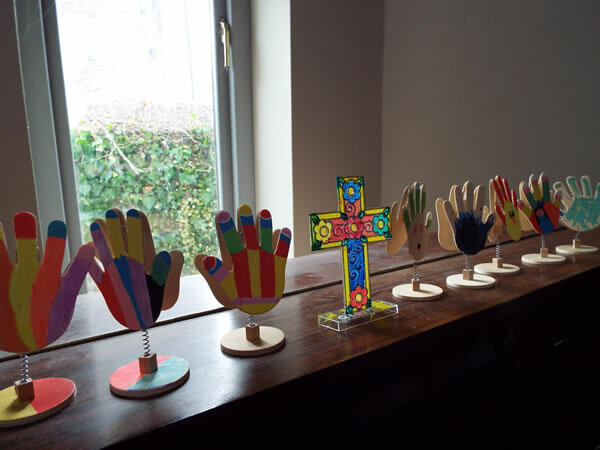 Prayer hands - The children write their prayers and place them in the hands, and then place them on the altar when they come back into the service. 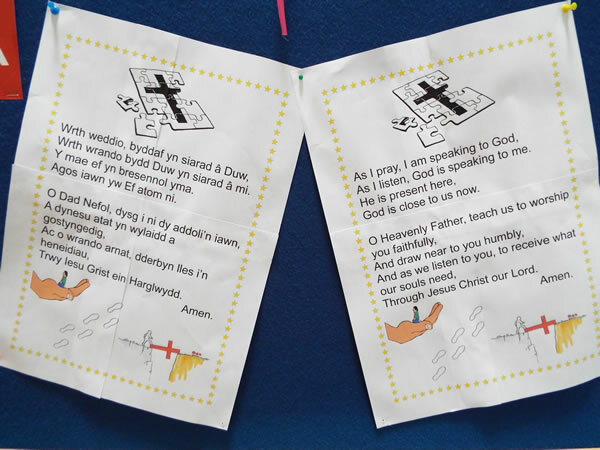 Sunday School prayer is the prayer we say together as a church before the children leave the service.